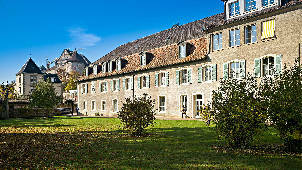 Nested in a quiet and green environment, at the foot of the magnificent castle, Collège & Lycée Saint-Charles is a renowned private day & boarding school in Switzerland offering an exceptional educational experience to help young people become true citizens of the world in the future. Collège & Lycée Saint-Charles is located in the charming Ajoie in Canton of Jura, known for its tight-knit community and historical festivals. The school offers a great quality of life in a secure and safe setting in Chateau de Porrentruy with a quiet and green environment at the foot of the magnificent castle. The school is one of the leading private day and boarding schools in Switzerland renowned for its educational excellence and academic achievements. The school strives to provide its students with the in-depth content knowledge and learning strategies to foster internationally minded students who are well-rounded and prepared for university studies and professional studies. The students are taught to face the challenges of the 21st Century and co-exist with people from other faith and nations. Collège & Lycée Saint-Charles provides educational learning for pupils between age 8 and 20 and accommodates only 250 students that are exposed to high-quality teaching. The campus consists of the Léon Burrus sports complex, a chapel, a school building and the main building. 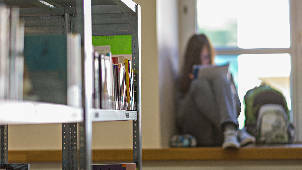 Students enjoy the best of learning atmosphere under the banner of Supporting Growth. The school emphasizes a sense of tolerance, freedom, and curiosity, and striving to strike a balance between the avant-garde and tradition. The school has a slogan, “Accompanying to grow” that forms the quintessence and the spirit of Saint-Charles. This reflects how the school guides the young people holistically with its humanistic values as they prepare for their future. The boarding school accommodates students in an informal and friendly environment that is supervised by team leaders and prefects. The co-habitation of students from different nationalities stimulates curiosity and promotes openness. The relaxation areas, swimming pool, and the gym are available to use during free time and offers a balanced intellectual development to the students. The school has strong values that form the basis of everything the school does, its community spirit and its commitment to excellent education. Collège & Lycée Saint-Charles believes in openness, humanism and tradition. It’s a life school and a school for life! The school offers a complete curriculum to ensure that there is a smooth transition from primary level through to the Maturité. The commitment is based on personal monitoring of students, a dedication of staffs, skills and high-quality teaching founded on the concepts of attentive listening and care. 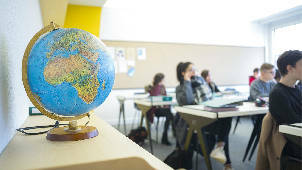 The school operates the primary, college, IB (International Baccalaureate) and Lycée's curriculum. Collège & Lycée Saint-Charles offers primary school education to children from the 5th HarmoS onwards with highly-structured teaching supervised by teachers that work together closely. The school offers programmes that extend beyond the requirement of the PER (Plan d’Études Romand, the Francophone Swiss Studies Plan). Students in the 5th and 7th year of the primary school are offered intensive language learning while they familiarize themselves with the school. 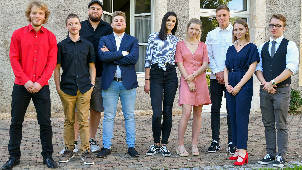 Subsequently, the 8th and 9th year allow the students to finish their training while they choose their future paths at the end of the 9th year. Collège & Lycée Saint-Charles offers pre-gymnasial “A“ pathway and general “B” pathway for secondary school students. The pre-gymnasial “A” pathway is for students who want to pursue further studies after the completion of compulsory schooling. This course offers a Latin option for language learning in high school or a science option for the study of physics and applied sciences and an hour of technical drawing. The general “B” pathway is for students who are considering other possibilities such as a commercial school, an apprenticeship or a general education school. The main branches are recognized by the canton of Jura as level “B”. 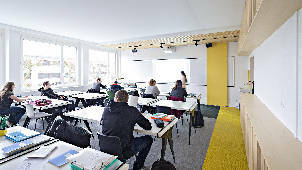 Collège & Lycée Saint-Charles aims to develop immersive education at all education levels and differentiates itself from others by the duration of studies and the pace of work. 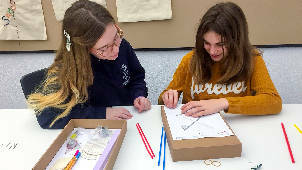 The school offers Maturité diplomas after four years of courses, allowing the students to reconcile their studies with extra-curricular activities. This helps them to develop their know-how and their social skills. Saint-Charles encourages language learning by offering bilingual French-English Maturité programs. The teaching activities in the target language will account for over 1300 hours spread over the four years of Lycée in accordance with the requirements of Commission Suisse de Maturité. 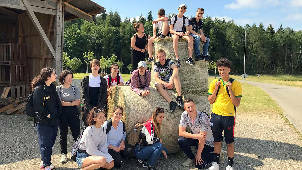 Collège & Lycée Saint Charles started the International Baccalaureate MYP Program in August 2018, offering its students the possibility to join the final two years of the Middle Years Program (MYP) of the International Baccalaureate (IB), as candidate school. The program is created for students between age 11 and 16 years for a period of two years in preparation for the pathway for the IB diploma. The school has a wide range of extra curriculum activities such as excursions to museums, castles, and landmarks, hiking, swimming and many other sport activities. There are 20 lessons in French or English Language Instructions, Instructions with native speakers and 14 social activities each week.